People in Northern Ireland have reacted angrily to a video that shows a motorist ignoring a red light and narrowly avoiding a head on collision with a van. The video was shared on Facebook by Idiot Drivers NI on Tuesday. The black car overtakes a line of other vehicles which are all stationary at a red light. 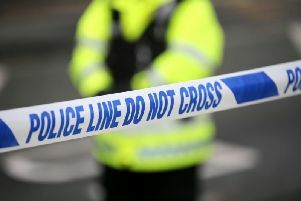 The incident occurred on the Banbridge Road near Lurgan earlier in the week. The dash-cam footage clearly shows vehicles slowing down to a stop at a set of traffic lights. Despite red light clearly being displayed, a motorist driving a black car, overtakes six other vehicles, ignores the red light and narrowly avoids a head on collision with a van. "This is shocking and makes me so angry - no consideration shown for anyone else on the road," commented one woman. "The person driving the car could have caused a serious accident and someone could have been badly hurt or killed - it's just not on," added another. The PSNI is aware of the footage on Idiot Drivers NI, however no report has been made to police.